WASHINGTON -- President Barack Obama, invoking executive privilege for the first time on Wednesday, blocked a House Republican subpoena of Justice Department deliberations over a botched gun trafficking investigation and set up a potentially explosive political confrontation just as the presidential election heats up. Using executive privilege "is like setting off a nuclear bomb in these disputes," said Mitchel Sollenberger, a professor of political science at the University of Michigan-Dearborn, and an expert on executive branch power. "It's hard, but not impossible, to go back to negotiation and compromise." The move by Obama shields, at least temporarily, a trove of internal Justice Department communications regarding Operation Fast and Furious from disclosure to the House Oversight and Government Reform Committee. The committee voted Wednesday along party lines to charge Attorney General Eric Holder with contempt for failing to produce the documents. In a letter to Obama on Tuesday, Holder said the subpoenaed documents involve internal Justice Department deliberations that were protected from disclosure. House Speaker John Boehner said the full House would vote on the contempt resolution next week unless Holder "reevaluates his choice and supplies the promised documents." Democrats, meanwhile, called the contempt vote an exercise in political theater. “What we just witnessed was an extreme, virtually unprecedented action based on election year politics rather than fact,” Rep. Elijah Cummings, the ranking Democrat on the oversight panel, said in a statement. A contempt resolution by the House will do nothing legally to force the release of the sought-after documents and poses only a symbolic threat to Holder. But it would represent a potent political slap by Republicans against the Obama administration and will ratchet up public pressure on the White House to reach a compromise, experts said. 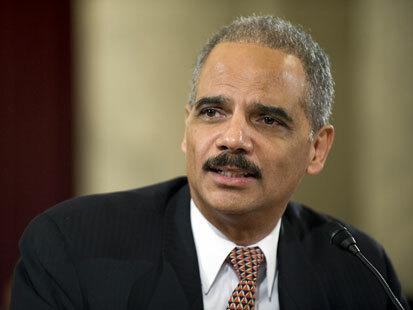 That pressure may be considerable, as a House contempt vote against Holder is guaranteed to focus intense media scrutiny on the Fast and Furious investigation, which has been condemned by both Democrats and Republicans as badly mismanaged. "This has to be seen as a step in a political game," said Josh Chafetz, an associate professor at Cornell Law School. "If this is going to have any immediate impact, it will have an impact through the process of politics and public opinion." Operation Fast and Furious erupted into controversy after government whistleblowers revealed in early 2011 that federal investigators allowed guns to "walk," or fall into the hands of criminals, in an attempt to disrupt criminal syndicates responsible for large-scale arms trafficking across U.S.-Mexico border. Republicans accuse top-level Justice Department officials of hiding their knowledge of the gun-walking tactics, either during the operation or after it was exposed. Justice Department officials have denied the allegations. Issa's resolution directs the U.S. attorney for the District of Columbia, a Justice Department official, to begin criminal contempt proceedings against Holder. In similar disputes during the Bush and Clinton administrations, such requests by Congress were rejected by the Justice Department after the president exerted executive privilege. House Republicans also can pursue a civil judgment against the Obama administration in federal court. Case law suggests such a lawsuit may prevail, yet relief would likely come only after years of litigation, when the political value of any damaging disclosures was long dissipated. "Darrell Issa and the Republicans on the committee are engaged in some chest-bumping in the context of a larger political negotiation," said Steven Schwinn, an associate professor at the John Marshall Law School in Chicago, who writes a blog on constitutional law issues. "At the end of the day, I really don't think the contempt motion is going to have any legal consequences." The only other route for Congress to directly enforce its contempt citation would raise the political stakes to almost unimaginable levels. Federal law technically allows Congress to order its sergeant-at-arms to arrest Holder and detain him in the Capitol jail while its members hold a trial for contempt. Sitting executive branch officials have been arrested by Congress just twice in U.S. history, most recently in 1915. No cabinet-level official has ever been arrested and tried by Congress. "That is a power that is long defunct," said Schwinn. "You can just imagine how extraordinary that would be. That would be a true constitutional crisis." "The idea is crazy," Schwinn added. "It's just not going to happen." If the Obama administration does not bend, and a political compromise cannot be reached, House Republicans have other tools available to punish Holder, such as slashing funding for the Justice Department and even impeachment. If the public perceives that Holder and the Justice Department are hiding politically damaging material and impeding a legitimate investigation by Congress, such dramatic steps might be broadly embraced by the public. But at a time when economic issues are voters' primary concern, a political war over a still relatively obscure gun trafficking investigation may just easily backfire on Republicans, experts said. "This is all about skilled politicians playing a high-stakes game," Chafetz said. "The White House is banking on the fact that it can win the PR war."